Great vacation spots. 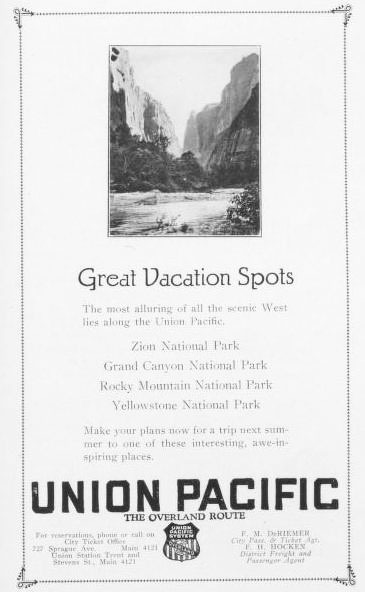 The most alluring of all the scenic West lies along the Union Pacific. Zion National Park, Grand Canyon National Park, Rocky Mountain National Park, Yellowstone National Park. Make your plans now for a trip next summer to one of these interesting, awe-inspiring places.